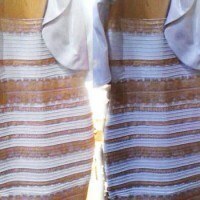 We have all seen it, the famous blue & black dress that played tricks on our mind. Regardless of whether you saw white and gold or blue or black, this viral photo can teach us all a little bit about Autism. This optical illusion provides a hint of what it is like to have a different sensory experience, something those with Autism live with every single day. Autism is often characterized by sensory issues, the range of which are quite large. Well-known ASD advocate Temple Grandin often speaks about her extraordinary vision and sensitivity to textures. Ari Ne’eman, the president of the Autistic Self Advocacy Network explains his troubles with certain textures as well, “Velvet, in particular, I find very difficult to touch,” he explained to a BuzzFeed reporter. Many people with Autism have a problem with high-pitch noises, lights that emit humming noises that most others wouldn’t even notice, even smells and tastes can trigger a strong reaction. Karla Fisher runs a Facebook page all about Autism, she explained what it’s like to “see”, “I have to focus on an area and wait until my eyes can actually make sense of that small area, and then I can move on. It isn’t about colors or not colors. It is rather about dress or not dress.” This idea is difficult for people to grasp unless they experience it, which is why #TheDress is such a perfect example. If you saw a blue and black dress, you couldn’t understand how others saw such a dramatic difference in color, same goes for those who saw white and gold. 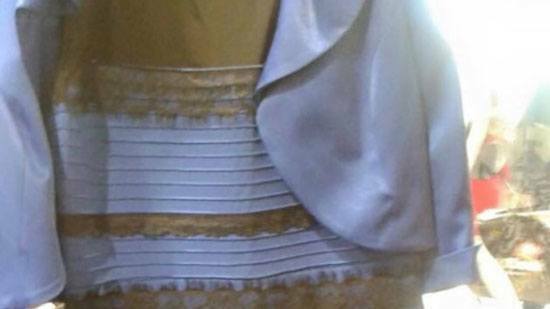 Can #TheDress Help Relieve the Social Stigma & Misunderstanding Surrounding Autism? Sensory issues have been recognized in Autism research for quite some time, but they have never translated so well to the public as they do now. This dress was just an optical illusion due to the contrast of the photo, but imagine feeling pain at a different level, or being extremely sensitive to noise. It’s something that most can’t fathom, but it is starting to make more sense, hopefully bringing with it an increased understanding of Autism and decreased stigma. Why Does Autism Affect More Boys than Girls? 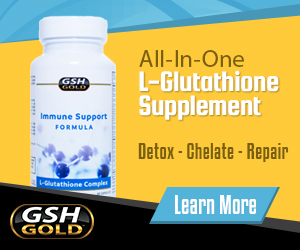 Golden Milk Recipe – Fight Inflammation, Cancer and More!